Elevate your experience at the Cosmo with this spacious studio which includes your own private terrace overlooking the heart of The Strip, inviting you to take in all the vibrant sights and sounds. Go all-in with a fountain view room which offers front-row seats to the Bellagio fountain show - a truly memorable experience not found in any other luxury Las Vegas hotel room. Recognized as one of the finest Mediterranean seafood restaurants in the world, acclaimed chef Costas Spiliadis has made Milos an unparalleled culinary destination in Las Vegas. Sage at Aria is a hands-down favorite with foodies from around the world. James Beard Award-winning Chef Shawn McClain curates a fresh, ever-changing menu of globally influenced contemporary American cuisine. Sage dresses up the freshest seasonal ingredients to take your taste buds on an adventure of their own. The highest quality imported cigars from all around the world are yours to enjoy in this exclusive experience at Montecristo Cigar Bar in Caesar's Palace, Vegas' finest cigar lounge. Join expert cigar sommelier to hear all about the origins, production, manufacturing, and history behind the most renowned brands. You will learn about all the different tasting notes, and understand what gives cigars their unique flavor. Complete the experience with a private steak dinner including cigar and whiskey pairing - the only place on the Strip where you can enjoy a fine cigar with your meal. In Vegas the party never stops. 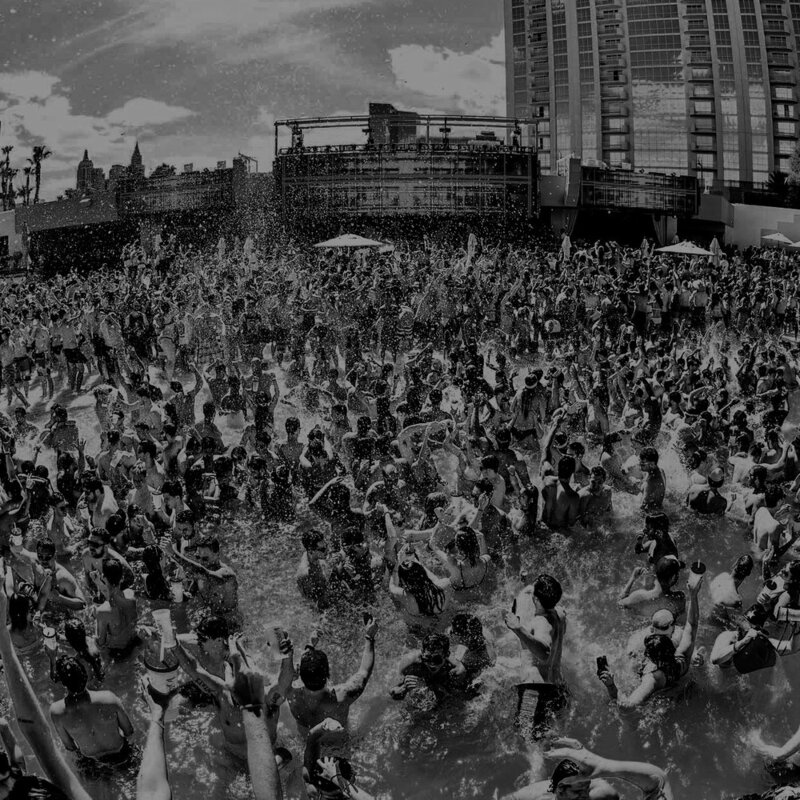 At the epic Wet Republic pool you can stay cool while enjoying the hottest DJs including Calvin Harris, Tiesto, Zedd and Kaskade..
Our guy on the inside will hook you up with your own lounge area or day bed, as well as your drinks of choice. Plus, your group will be personally escorted in, so you don't have to wait or worry about a thing. Named #1 greatest show in Vegas history by Las Vegas Weekly, Absinthe is the provocative variety show which delivers a fantastical blend of carnival and spectacle, featuring wild, outlandish acts and outrageous comedy performed on an intimate, circular stage for close-up action. Inspired by cabarets of late 19th century Europe, Absinthe is an intoxicating cocktail of circus and burlesque. This racy, adults-only show is definitely not for timid audiences; like an R-rated movie, but with more glam and laughs. This is a shopper's paradise with incredible deals on some of our favourite brands from John Varvatos to All Saints, Rag & Bone, Theory and much more. The perfect place to go on a well-deserved shopping spree - and to pickup killer outfits for the Sin City nightlife.